Leucistic penguins are rare. 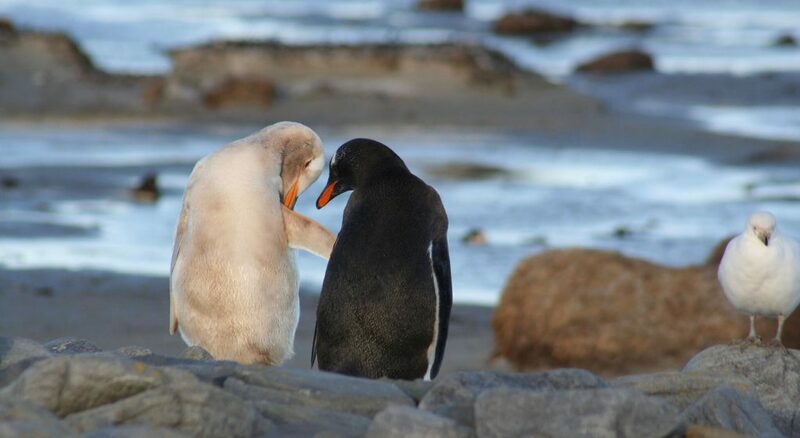 They are ostracized by their penguin kin due to their unusual colouration – they are partially albino. Few reach adulthood. Our Leucistic Gentoo (below) hatched at Bluff Cove Lagoon as a white fluffy chick and in adulthood found a black and white Gentoo mate. They successfully reared two chicks each year. After ten years he didn’t return. 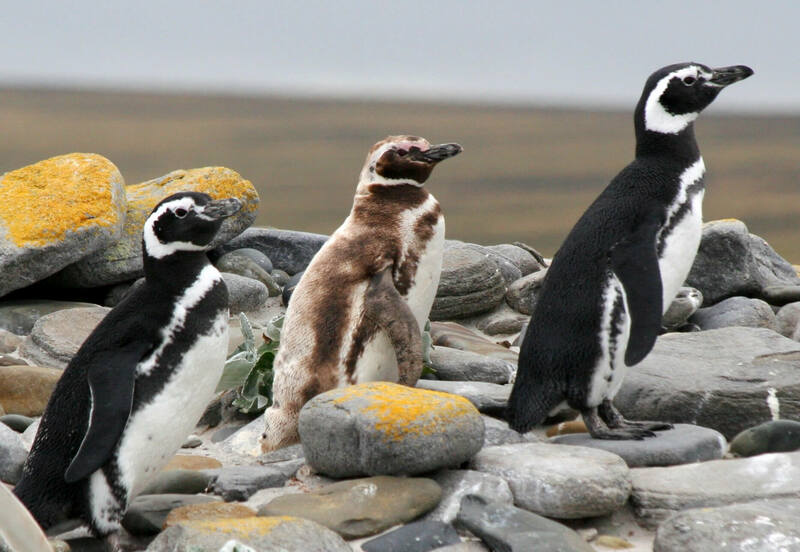 We also had regular sightings of a Leucistic Magellanic penguin (above) from East Island, just south of the Lagoon, that came for several summers to moult on the Lagoon beach.